I decided its time for another recipe. If you are interested in checking out my other culinary adventures, click on the "Recipes" tab. I've made this recipe a couple of times, and its pretty freaking amazing (if I do say so myself). If you follow me on Instagram, you read that I had eaten myself into a pants-popping, food coma last night. 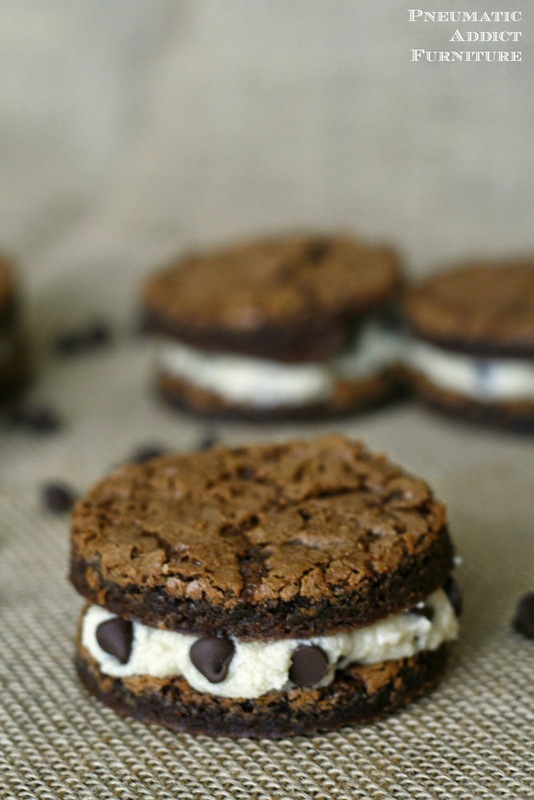 A couple of these cookie dough cream brownie sandwiches may have been involved. and squirt the cream between two layers of brownie. This is the end result. 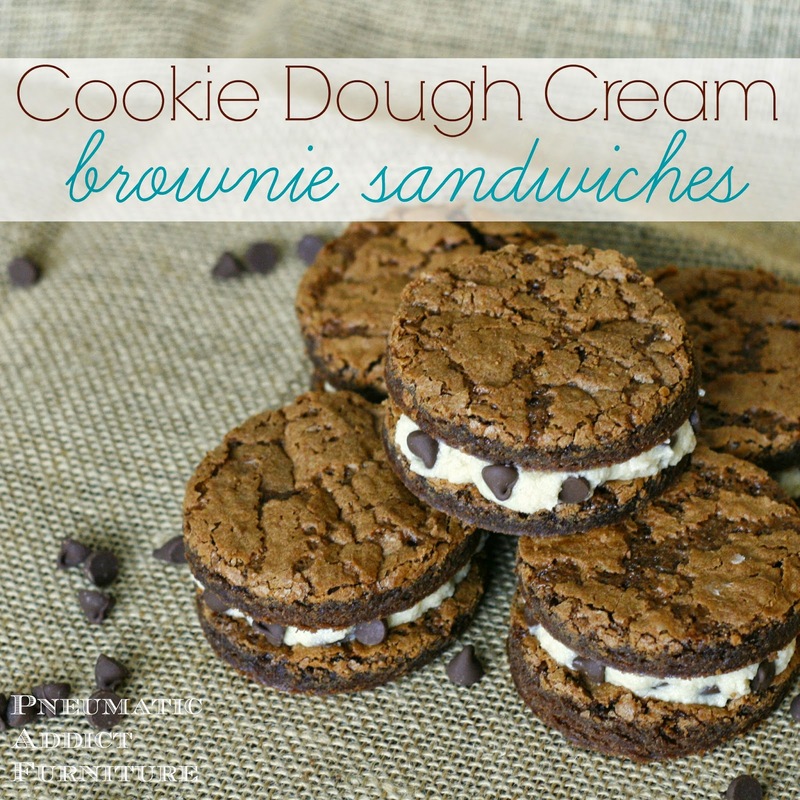 The brownies are delicious, but the cream....drool. I could eat it right out of the pastry bag. 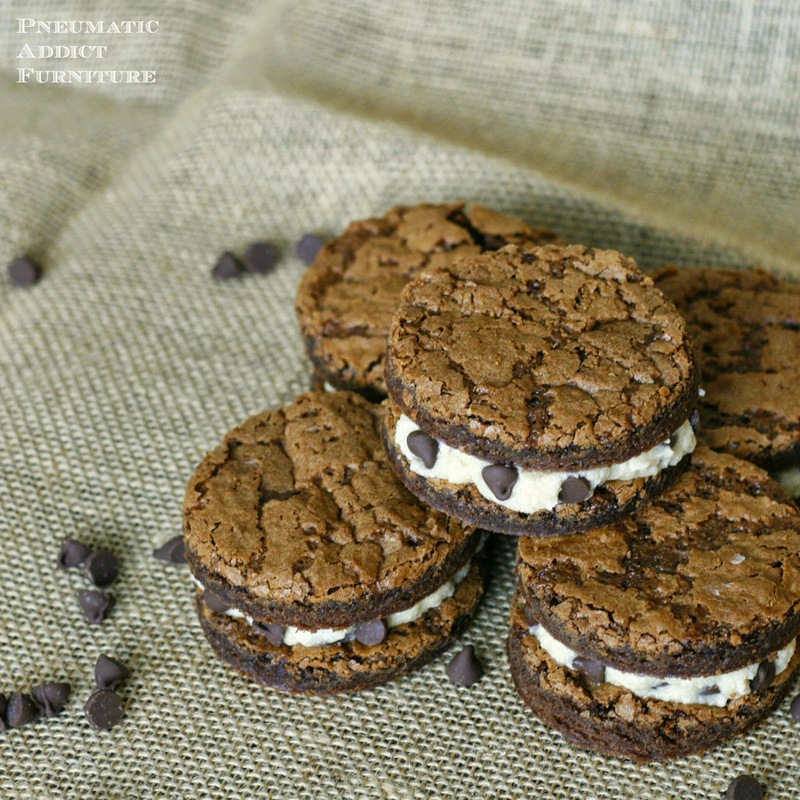 Chewy, fluffy, and chocolatey all in the same bite. They are a big hit with kids and adults. 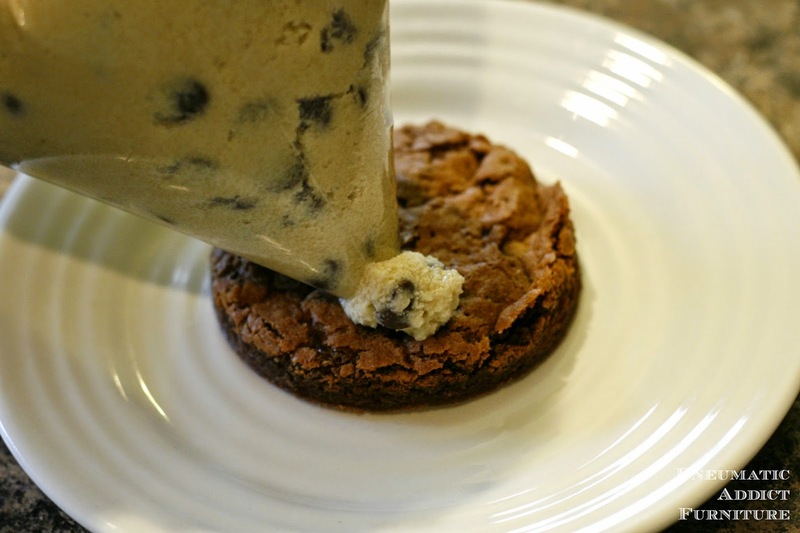 I mean, who doesn't like brownies and chocolate chip cookie dough? 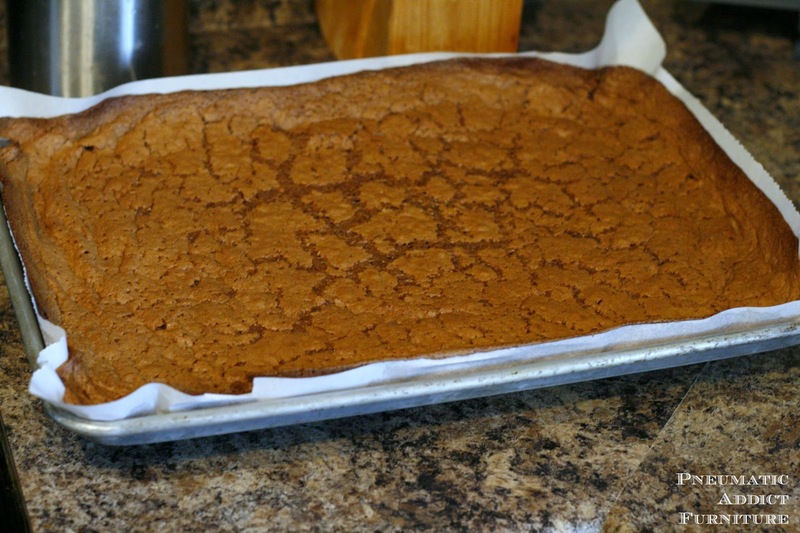 Grease a jelly roll or sheet pan. 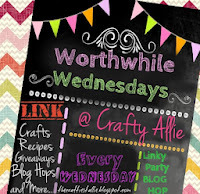 Line with parchment paper. 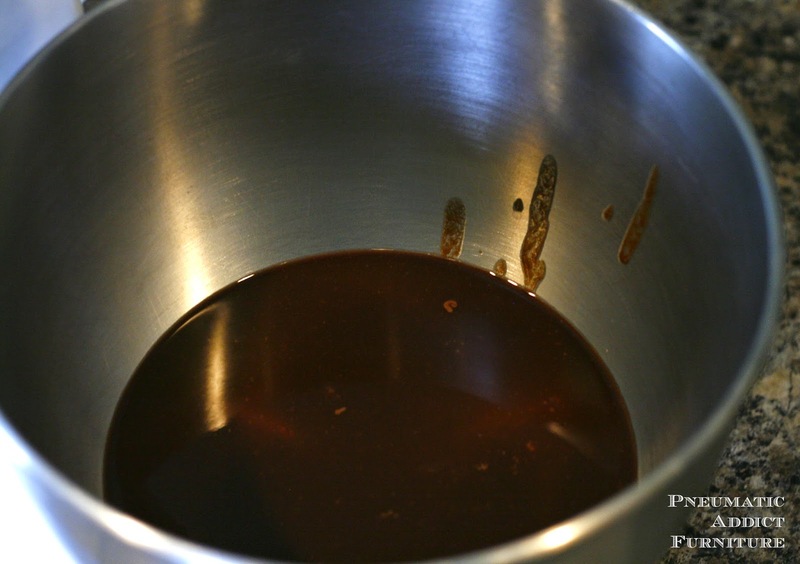 Melt butter and chocolate in microwave or saucepan. Stir together. Pour mixture into mixing bowl and mix in sugar. Beat in vanilla, flour, salt and baking soda. Bake for approximately 30 mins, or until inserted toothpick comes out clean. 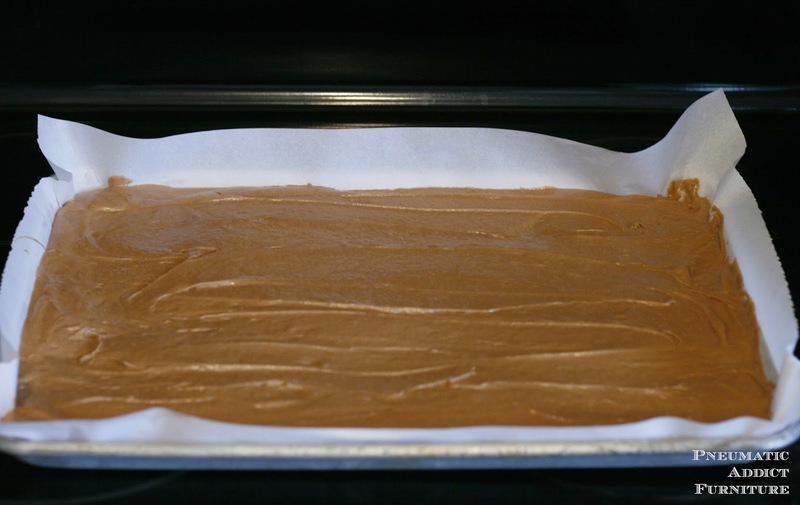 Allow to cool completely in pan. 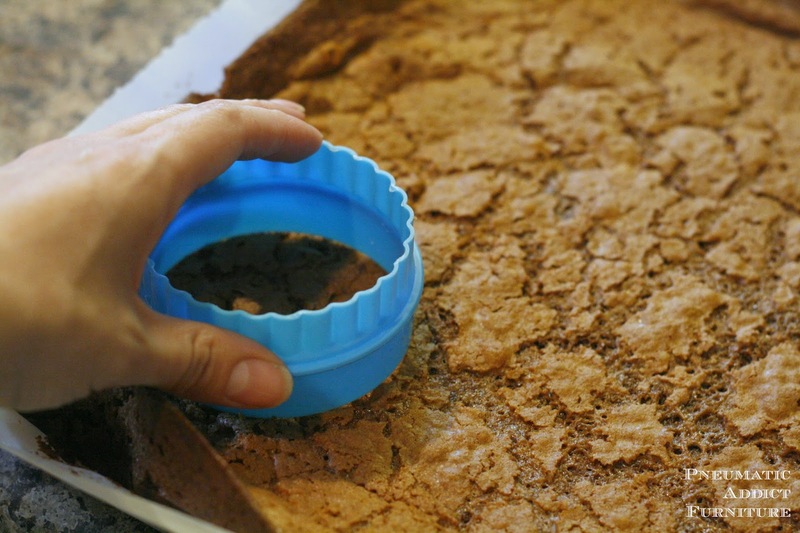 Once cool, pull out with the parchment paper, and use a large, round cookie cutter to cut out circles. 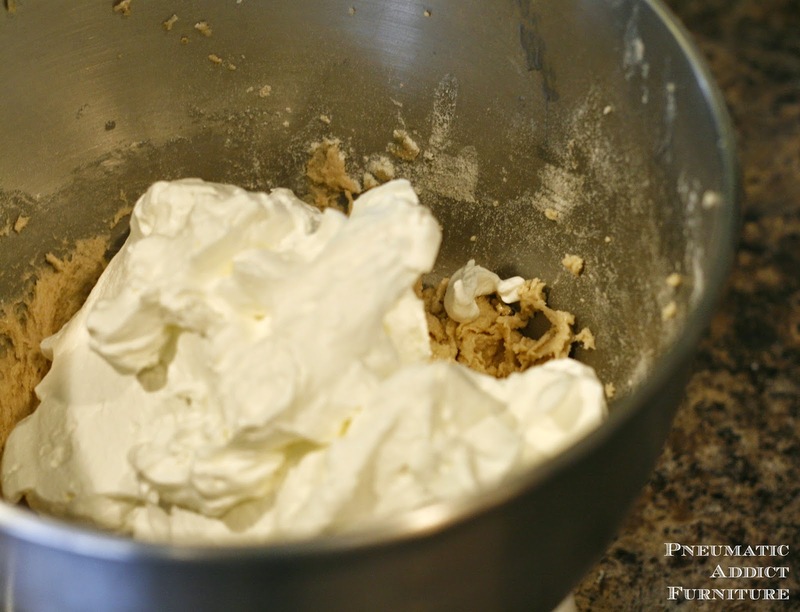 Whip heavy cream until very stiff. Set aside. In a separate bowl, cream together butter and sugars. Beat until fluffy. Add vanilla flour and salt. Mix well. Add whipped cream and fold together. Place cream in a pastry bag with a very large tip. Squirt a generous amount of cream on one brownie round, and top with another. Sit on couch, unbutton pants, and enjoy! Keep sandwiches in fridge until ready to be eaten. 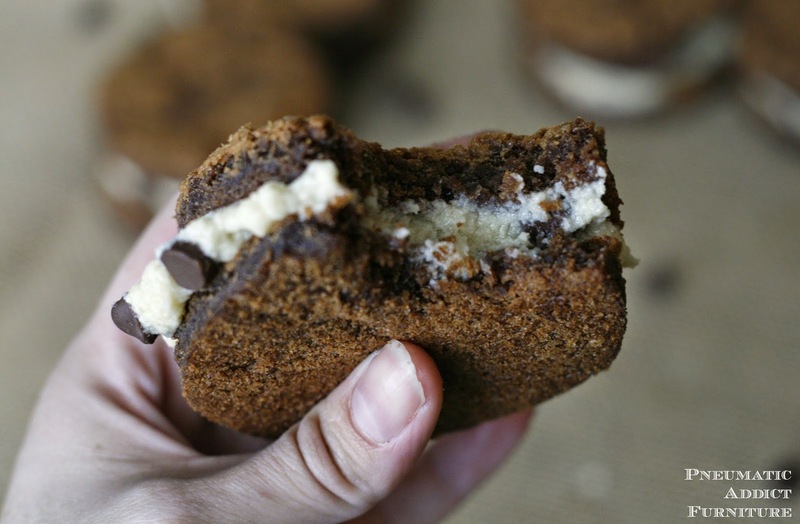 Oh my, these look so delicious, thanks for posting up this recipe. Thanks Simon! They are one of my new favorite treats.